Celebrate Black History Month at various events in Baltimore perfect for you, family and friends. If you're looking for a way to celebrate Black History Month outside the D.C. area, several events celebrating the contributions of African-Americans are being held just an hour north in Baltimore, Maryland. From attractions at the National Aquarium to cruises on the Patapsco River, Charm City has a lot of ways to celebrate while you learn something new. 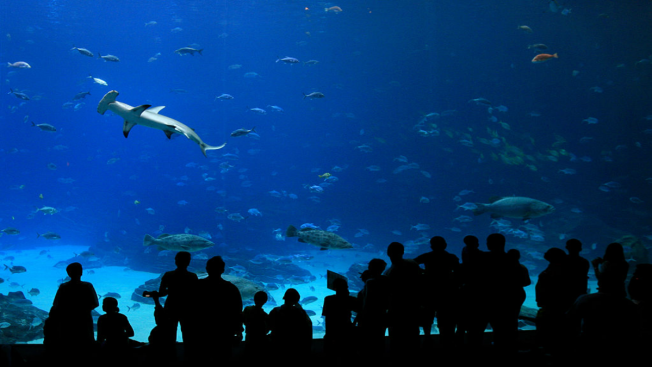 On Friday, the National Aquarium is hosting an evening of family fun. From 5 p.m. until 8 p.m., you can watch live performances and learn how African Americans have contributed to the Chesapeake Bay’s maritime and seafood industries. You’ll also learn the role African-Americans play in shaping the industry’s future. The event will include hands-on activities like oyster tonging. All of the festivities are included in your half-price Friday night admission ticket. Click here for more information. Celebrate reggae legand Bob Marley's birthday at a concert in Charm City. The annual dance party will be held Feb. 4 at Creative Alliance on Eastern Avenue. Creative Alliance is a nonprofit that promotes art in the city. See-I, a reggae band founded by two brothers, will perform some of their hit songs. Local DJs Papa WaBe and Papa T will also be at the party. Jamaican food will be available for purchase. Doors open at 8 p.m., and tickets are on sale for $18. If you're a member of Creative Alliance, discount tickets are available for $15. The Reginald F. Lewis Museum is hosting "Picturing Frederick Douglass" as a part of its genealogy and history series. On Feb. 4, John Stauffer of Harvard University will examine Douglass' work and fight for African-American representation through 50 years of photographs. Admission to the event is included with your museum ticket. Tickets to the museum are $8 for general admission and $6 for senior citizens and children. Because the event is on the first weekend of February, you can get in for free if you are a Bank of America or Merrill Lynch credit or debit holder by showing your card and ID at the door. The Baltimore Museum of Art is inviting you to a day of discussion and networking at the Creativity Exchange on Feb. 11 from noon to 5 p.m.
Do you own a business? You can learn how to brand yourself and connect with customers during a workshop at 12:30 p.m. Because space for this workshop is limited, you'll need to RSVP in advance. You can also listen to a panel discussion about how to develop innovative projects. Throughout the day, afro-punk jewelry, bath and body products and apparel will be available for purchase at a vendor fair. The event is open to the public. Cruise the Patapsco River during a 2-hour cruise Feb. 25. Spirit Cruises is hosting the Black History Month lunch cruise. Participants can dine on a delicious buffet and enjoy beautiful river views while learning about important black history moments in the city. These are just some of the Black History Month celebrations happening in Baltimore. Check out other exciting events here!